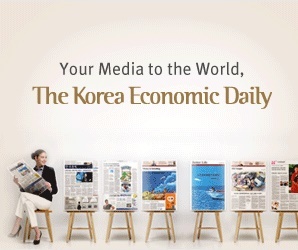 About 10 South Korean insurers, including Hanwha Life Insurance Co. Ltd., have invested 300 million pounds ($394 million) in one of the UK’s largest infrastructure portfolios owned by a consortium of Dalmore Capital and Equitix Investment Management, in search of assets seen the least vulnerable to a hard Brexit and economic uncertainty. The two leading UK infrastructure investors sold down equity interests in the portfolio, formally known as John Laing Infrastructure Fund (JLIF), which they acquired for 1.46 billion pounds in September 2018, according to investment banking sources on Jan. 28. Based on the total acquisition value, the investment by South Korean companies amounts to a stake of around 20% and is expected to yield mid-6% returns. The fund, launched in 2010, was delisted from the London Stock Exchange last year. The portfolio, managed by Jura Acquisition, a special purpose company of the Dalmore and Equitix consortium, owns public private partnership assets in Europe and North America for which governments make availability-based payments. Its assets range from public housing, railways, roads and waste disposal facilities to street lamps in the UK and Canada, with about 15 years of contracts left with central and local governments on average. Hanwha Asset Management Co. Ltd., a wholly-owned unit of Hanwha Life, sourced the investment and committed 100 million pounds, tapping the $400 million blind-pool fund it raised in 2017 with commitments from Hanwha Life and Hanwha General. Two brokerage firms — Hanwha Investment & Securities Co. Ltd. and Hana Financial Investment Co. Ltd. — underwrote 100 million pounds of a stake respectively and completed the resale to domestic insurance companies. “Despite risks of a hard Brexit and a change of the British government, availability-based infrastructure assets will be hardly affected because the British government needs to foot a huge bill to shake up those contracts,” said one of the sources. Of the 67 assets owned by Jura Acquisition, South Korean investors secured equity interests in 36 assets after a portfolio reshuffling, in which Spain-based assets were excluded because of the country’s political risk and the proportion of Canada in the portfolio was lifted. The portfolio is set to expire in December 2046, considering the last contract’s expiration date. Dalmore Capital has been working closely with Hanwha Asset in South Korea. Early in 2018, it raised 150 million pounds from South Korean institutional investors, including the Public Officials Benefit Association (POBA) and Hanwha Life, for its 800-million-pound fund.